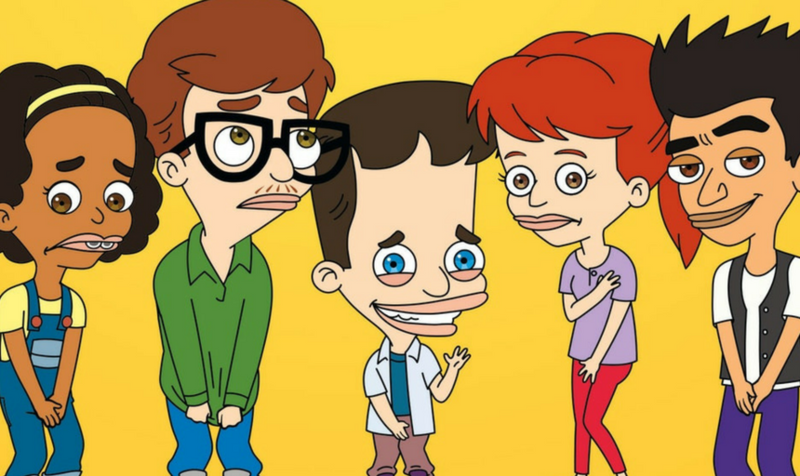 The 'Big Mouth' table read at NYCC was one of the funniest things I've ever witnessed – AiPT! You’d be hard-pressed to find a better assemblage of funny people in 2018 than the ones in room 1A02 of the Javits center at New York Comic Con last weekend. Not only was the Big Mouth panel overflowing with fans of the animated Netflix comedy on the Friday of New York Comic Con 2018, but I knew I was off to a good start when I learned I happened to be seated next to the parents of Andrew Goldberg, one of the co-creators of the series (alongside Nick Kroll, Mark Levin, and Jennifer Flackett) as well as a writer and executive producer. That may not have affected the panel itself, but I feel like it’s worth noting. They were extremely kind and proud of their son. Anyway, the panel proper kicked off to thunderous applause, with a big-headed mascot version of Maurice the Hormone Monster (voiced by Kroll) introducing the guests, a murderer’s row of comedic talent: Levin, Flackett, Goldberg, Jason Mantzoukas (the voice of Jay), Jessi Klein (Jessi), Kroll (Nick, Maurice, and several other characters), John Mulaney (Andrew, among others), Jenny Slate (Missy), Fred Armisen (Elliott, among others), Jack McBrayer (Nick’s pubic hair), and writer Jaboukie Young-White. The only major cast members absent were Jordan Peele and Maya Rudolph, so Young-White and Flackett voiced their respective roles for the table reading of the first episode of the just-released second season. Once the guests found their seats, little time was wasted before jumping into the reading. The audience even joined the cast in singing along to the show’s theme song, Charles Bradley’s cover of “Changes” (originally a Black Sabbath tune). Still images of the scenes were provided for context, but it was clear that the audience was focused on the guests. Seeing them perform an entire episode live put their talent on full display, especially Kroll, who not only transitioned from character to character with relative ease, but seemed to have a great time doing it. It’s a raunchy show, so seeing the stars and creators enjoying themselves and not taking it too seriously created a welcoming atmosphere for the entire crowd (including Goldberg’s parents). I enjoyed the first season quite a bit last year shortly after it was released, but seeing it–and perhaps more importantly, hearing it–like this highlighted how much talent was behind the show. Big Mouth, for all its filthiness in its frank exploration of middle school life and puberty, has a surprising amount of heart and thoughtfulness, but you’d be hard-pressed to find a better assemblage of funny people in 2018 than the ones in room 1A02 of the Javits center that evening. I hadn’t laughed so hard in months.